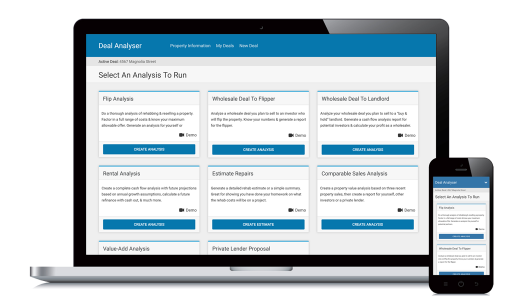 Within the Deal Analyzer software is a powerful Rehab Estimate Calculator which allows you to itemize rehab costs & create beautiful detailed repair estimates. Estimate repairs quickly & easily, while you avoid over paying. Generate a detailed rehab estimate or a simple summary. Then opt to include your rehab estimate with your exit strategy analysis or lender proposal. Include your rehab estimate with your other reports to create detailed marketing materials. Features include downloadable PDFs & shareable links.